Users in germany can go directly to step 2.Others need to go to this german proxy. Fill in the form by entering your first and last name, email address and click the red colored registrieren button. Check your email . You should receive an email from BitDefender with the subject BitDefender Total Security 180 -Tage Testversion?. Note down the 20 digit license key in bold. 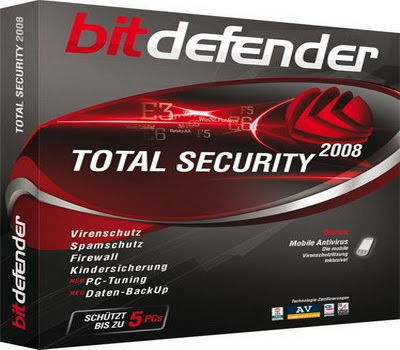 Download BitDefender Total Security 2009 (or here if youâ€™re using 64bit Windows operating system) and install. Install it and activate using the license key.Now you got 180 days of license. Enjoy. @Jeddi, Obviously it wont be working now. The reason being this promo worked in January when i wrote about it and now its AUg. Almost 6 months gone. Offers like these stay for more than few days. Visit this site regularly if you want to catch any promo’s like this.